You either love ‘em or hate ‘em... New Year's Resolutions. No matter how you feel about them or if you participate, it’s the end of the year and people are filling up their news feeds & journals with their goals. I ,for one, LOVE making New Year's resolutions. I live to set goals and meet them. Setting goals for the New Year helps me reach higher and work harder than I would have without them. For the past three years, Jay and I spend some time reflecting on the past year and dreaming about the future. He shared a couple of weeks ago on his blog about our process; make sure to check it out. 1. What are my fondest memories of 2013? Spending the week with my family at my Granny’s bedside and having some very sweet moments with her before she passed. Deciding to take a significant step towards having a child by deciding to become foster parents. Deciding to be open about our infertility issues, which have allowed us the opportunity to connect with others who are having the same struggles. Our vacation in Savannah, GA which over the past two years has become our favorite spot. 2. What were the “big projects” I completed during the year? Completed the process to be licensed to fostering. Started a second job, Premier, and completed 20 parties within 3 months. 3. What were the defining moments during the last year? Our decision to adopt/foster before doing our infertility procedure. We started aggressively saving for our infertility procedure. The passing of our Granny and the conversations that took place. Transitioning our yearly budget to a monthly budget. 4. What did I procrastinate on and fail to get done? Didn’t work out 4 times a week. Our budget wasn't as strict as it should have been. 5. What books and mentors had the greatest impact on me? Why? I Was Broke & Now I'm Not by Joe Sangle helped me realize our yearly budget was not working. We weren't sticking to it because it wasn't working. It helped me transition us to a monthly budgeting and even more so, weekly budgeting. Empty Womb & Aching Heart by Marlo Schalesky helped me realize that I wasn’t crazy (not completely) and the thoughts I have concerning our infertility are legitimate and normal. It also helped bring some perspective and helped prepare me for going public with our struggle. Without this book, I would never have done it. 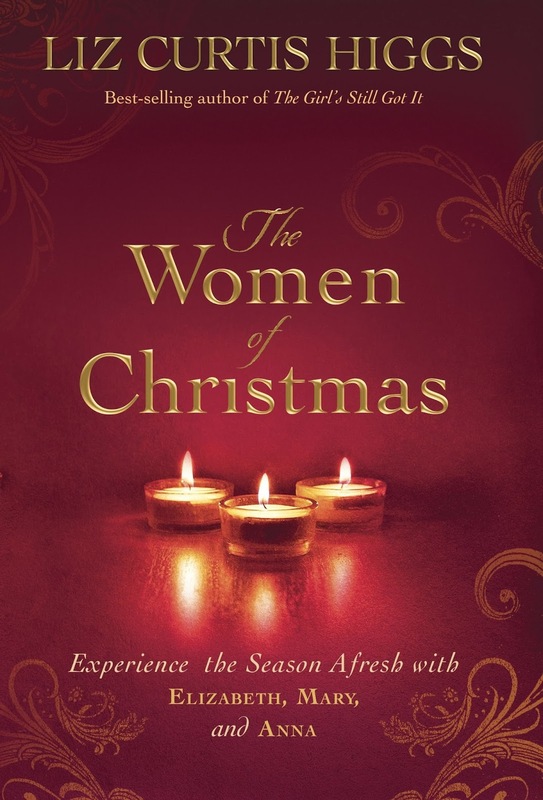 The Women of Christmas by Liz Curtis Higgs helped me see Christmas in a new way. I viewed it this year from a woman longing to be a mother and how God sees that. Christmas was about two miraculous pregnancies; Elizabeth & Mary. Nothing is impossible for God. 1. What are my greatest dreams for 2014? Hope to have a foster child in the process of adopting them by the years end. Read at least one book per month. Create more traditions & special moments for our families. Have at least 50 Premier parties completed. Most importantly, end the year closer to God than I am now. I want to reach new levels with Him. You can find Jay’s highlights here. If this has got you thinking about your New Year's goals, check out the entire list of questions and spend some time getting ready for the New Year. Let’s make 2014 one for the books! There is nothing like a great book... but when you combine a great book and perfect timing, it’s incredible! My friend made this happen for me this Christmas season when she gave me The Women of Christmas by Liz Curtis Higgs. 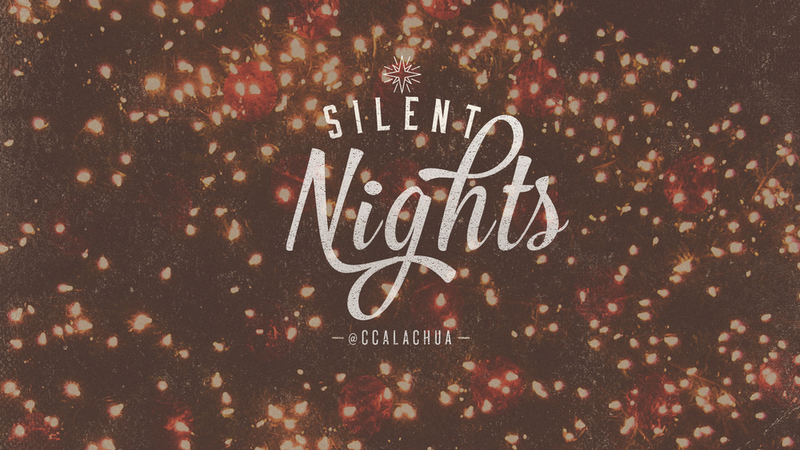 “A sacred season is about to unfold for three women whose hearts belong to God. Elizabeth is barren, yet her trust in God remains fertile. Mary is betrothed in marriage, yet she is willing to bear God’s Son. Anna is a widow full of years, yet she waits patiently, prayerfully for the Messiah to appear in the temple courts." I don’t know how I’ve missed viewing Christmas through the eyes of these three women, one of whom I can strongly relate too. This book breaks down the story of Christmas verse-by-verse and phrase-by-phrase in such a relatable way. I look forward each morning to curling up in my recliner with my coffee and diving into yet another chapter of this miraculous story. If you long to view Christmas with a fresh perspective and renewed awe and appreciation, I really encourage you to order this book. Even if you won’t be able to read it before Christmas, the beauty of Christmas is its relevancy throughout the year, not just in December. I hope you have a very Merry Christmas and enjoy some great moments with you family! *If you would like, you can purchase this book here. The past couple of weeks as Jay and I were prepping to sign the last paper for our foster parent approval process, I starting thinking about all that we’ve had to do to get ready to be foster parents...so I’d thought I’d share. Went through a 9 week (27 hours) PRIDE course. Collected 9 references from very specific people. Had a doctor deem us mentally & physically fit to be foster parents. Arranged for a health inspector to check out our home. Wrote out an evacuation plan with exits marked & displayed it in our home. Had every nook & cranny in our house photographed. Went through interviews & signed tons of paperwork. ... and much more over the past 3 months. That is just to be licensed. Once we start getting calls, we will start purchasing anything the child may need. If our dream is realized, and God allows us to adopt our baby through this process, I began thinking how I hope our child knows how loved he/she is. We pursued them with everything we had. This wasn’t convenient or easy. But the love we already have for our future child pushed us forward. Some of you know this feeling. Whether you waited an eternity to finally get pregnant or are still waiting. Maybe you’ve spent tens of thousands of dollars adopting a child privately or from overseas. You know what this difficult pursuit is like. Even if you haven’t experienced it yourself, you have been the object of an even more difficult pursuit. God pursued us through the most painful process. God knew we would choose our selfish desires over Him from the beginning. He set into motion a plan to get us back. It would be an inconvenient & difficult process. It would require loss at the deepest level, but he chose to pursue us anyway. God watched his people rebel & turn their backs on him time after time for hundreds of years. He put his only Son in the hands of two very poor teenagers. He watched Jesus for 33 years struggling on this earth as people mocked and plotted against him. Even now, he continually watches his people (us) turn their backs on him, curse him, and question his love. God has pursued us for thousands and thousands of years. How can we ever question his love? He is The Father and we are his children, adopted into his family, inheritors of all that is his. Happy December! I hope the month is treating you well and you are finding time amid the hustle and bustle of the season to enjoy special moments with those you love. It’s time for another #BringingBabyPorterHome update! A lot of people have been asking and although not too much has changed since our last update, things are progressing along. First up... Jay goes for a lab appointment Friday and we will find out at the end of the month (the 30th) the results from the fertility medicine they gave him. This is one of the most important tests to date. It will be a defining factor in what our next step will be. Second of all, we had our final home study with Partnership for Strong Families this past Thursday to become foster parents. The licenser came to our home, interviewed us, took pictures of our house and all the “foster proofing” we had done, and took all our paperwork, references, income reports and LOTS more we had been collecting for 2 weeks. It has really been a great experience, intense, but great! A little plain right now, I know. My Mom has decided to purchase the bedding for Christmas, so it will be here soon! (I’m so excited!!) It’s interesting having a crib in the house, it kind of feels like we are pretending but I keep reminding myself that it’s not, it’s just preparation. We meet with our licenser on Friday to sign the official “home study” so that he can send it off. From there it will take around 3-6 weeks to be approved by the state. There is no exact timeline with the holidays approaching, but after it’s approved, we have been told we could be getting calls immediately for all different aged children. Because of our home only being licensed for one child at a time and our desire for a child less than 12 months old, there will be many calls we will have to say no to. This is all a part of the process, but one that will be incredibly difficult. We are excited for what 2014 holds. No matter what takes place, we know God has brought us to this point. So if you would like to join with us in praying for the above situations we would appreciate it so much! Has God ever seemed silent to you? Has He ever seemed slow to answer you? Does it seem He answers others prayers but not yours? Has God’s “silence” ever caused you to doubt there really is a God? These seasons in which we feel God is silent can be moments filled with our biggest regrets, or our biggest displays of faith. He addressed what God is doing in the silence and what we should do by discussing God’s silence in the 400 years between Malachi & Matthew. In Malachi 1:2 we see the theme of Malachi… “I have always loved you,” says the Lord. Jeff explained this phrase is neither past tense, present tense, or future tense... it is all of the above. God is saying. I have loved you. I love you. I will love you. And then the curtain closes and God is silent for 400 years. So what was God doing for 400 years? Was He fed up with our depraved humanity and it took that long to come back around for us? Was He just getting His strength up? Of course not! Jeff shared 3 major historical events, which proved that God was at work behind the scenes setting the stage for what was to come. Through Alexander the Great one unified language became the standard, it became safe to travel thanks to the Roman peace, and they also put into place improved transportation systems. Just like a play, the curtain closed, and God began re-arranging the world’s stage to prepare for act 2. If Jesus had come immediately after the Old Testament, spreading the Gospel as the disciples did, would not have been logistically possible. Check out how Paul confirmed this in Galatians 4:4-5, "But when the right time came, God sent his Son, born of a woman, subject to the law. God sent him to buy freedom for us who were slaves to the law, so that he could adopt us as his very own children." Today, know this... if you are in a season of silent nights, God is working behind the curtain of your life and at the right time, the curtain will rise and you will be perfectly positioned to experience the will of God for your life. When you hear God’s silence, and feel His absence, trust His presence. And He shall be called Immanuel, God with us!